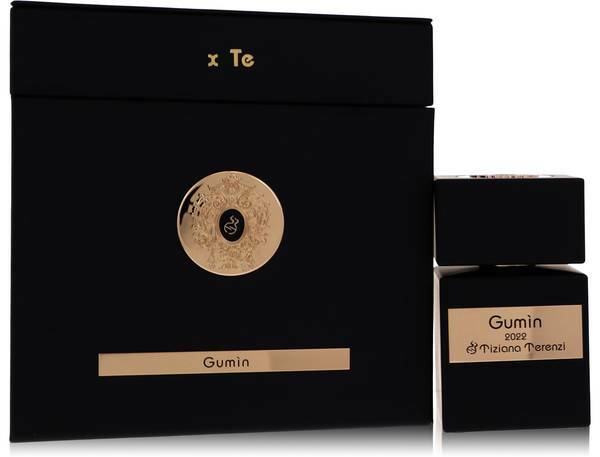 Gumin Perfume by Tiziana Terenzi, Gumin is a citrus-woody fragrance for the man who appreciates the finer things in life and isn’t afraid to go after them. This captivating scent has a large sillage which draws people’s attention to you the moment you arrive and lingers long after you’ve left for your next adventure. While it wears best during warm summer days, a spritz before you head out into your day carries with you well into the night. The nose behind this masculine aroma is Paolo Terenzi. Read More Read More The luscious top notes include Mandarin orange, bergamot, orange and pineapple. The spicy heart notes feature violet, rose, jasmine, ozonic notes and amber. Musk, sandalwood, birch and agarwood (oud) combine as the base notes. This scent launched in 2016. In 1968, Cereia Terenzi launched a niche fragrance brand in Cattolica, Italy. Today his children own the company, with his daughter, Tiziana Terenzi, serving as the fragrance house’s scent designer and namesake of their new aroma line. The company currently has over four dozen aromas in their fragrance collection. All products are original, authentic name brands. We do not sell knockoffs or imitations.